Columbus, OH, August 16, 2017—Today, 3Bar Biologics Inc., the provider of a beneficial microbe delivery system, announced it has secured $2M in funding from an impressive group of investors, including Rev1 Ventures, Maumee Ventures, Ohio TechAngel Funds, Queen City Angels, Carmen Innovations, and SVG Thrive Fund. With this investment, 3Bar is broadening availability of its groundbreaking offering that uses naturally occurring microbes to help farmers improve the quantity and quality of crop production. 3Bar’s first commercially available product, Bio-YIELD®, is a patented delivery system that leverages living microorganisms to stimulate a plant’s defense, optimizing the chances for greater yield across a broad range of growing conditions. Building on over 15 years of research at The Ohio State University, Bio-Yield® uses living microbes that are sourced and discovered in local fields and activated on-site. Farmers simply press a button to activate the microbes, which begin multiplying when they come in contact with the growth solution. When the mixed product is applied to seeds, each drop contains millions of microbes that grow with the plant. “We made an early investment in 3Bar because we saw the promise of their research-backed offering and their unwavering commitment to providing farmers with a solution that works,” said Dave Bergeron, SVP Venture Development at Rev1 Ventures. On average, Bio-YIELD® delivers a five times return on investment for farmers. To learn more, visit www.3barbiologics.com, and check them out at September’s Ag Innovation Showcase in St. Louis, MO. 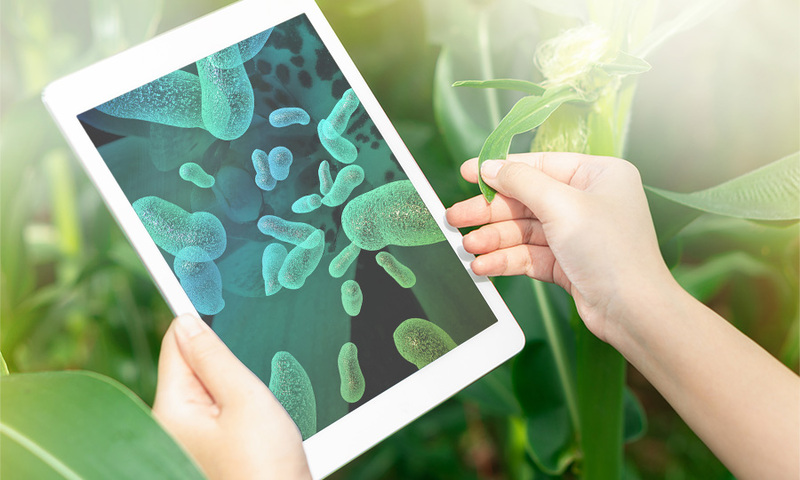 3Bar Biologics is committed to helping farmers improve the quantity and quality of crop production with its beneficial microbe delivery system. Born out of extensive research at The Ohio State University, 3Bar’s patented system uses naturally occurring microbes discovered from local fields and activated on-site to more effectively stimulate plant defenses and increase crop yield. 3Bar is driving profitability for farmers and their suppliers by easily integrating with existing practices and reducing the industry’s dependence on synthetic chemicals. For more information, visit https://3barbiologics.com.